Official Statistics of Finland (OSF): Prices of dwellings in housing companies [e-publication]. ISSN=2323-8801. June 2014, Appendix figure 3. 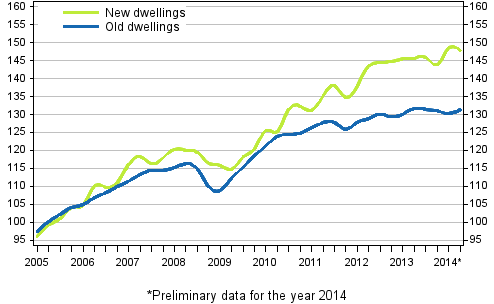 Price development of old and new dwellings from 2005 . Helsinki: Statistics Finland [referred: 20.4.2019].